Orchids are cultivated and prized by gardeners all over the world. 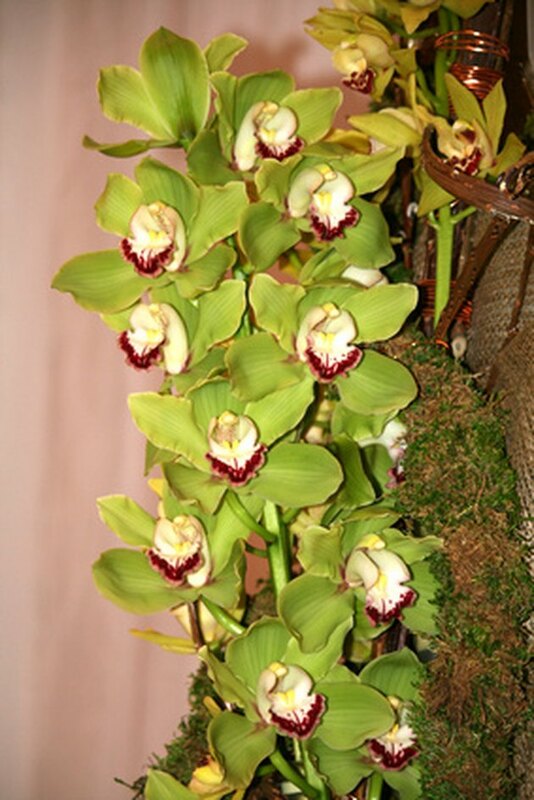 According to the Brooklyn Botanic Garden, there are between 20,000 and 30,0000 different species of orchid in the world. In the wild, orchids can be found on every continent except Antarctica, though the great majority live in tropical and subtropical forests. About three quarters of all orchid species are epiphytes, which is a term that refers to plants that live and grow upon other plants. 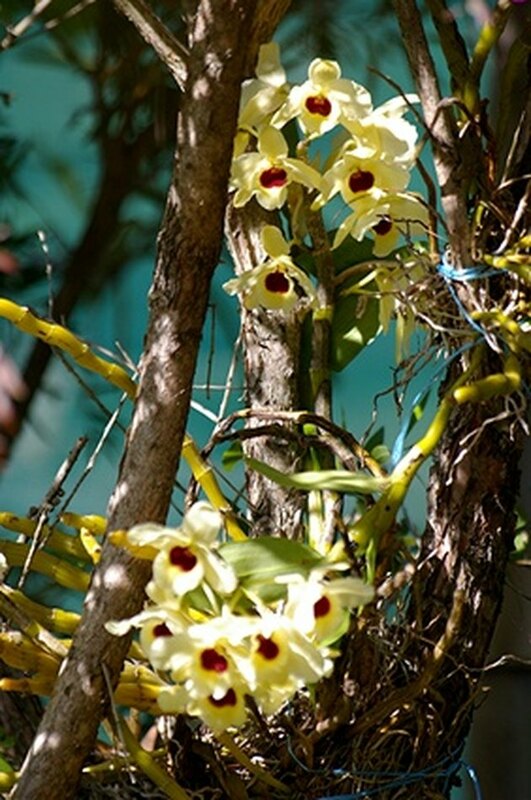 Orchids that grow on a host tree have a special kind of symbiotic relationship with it. 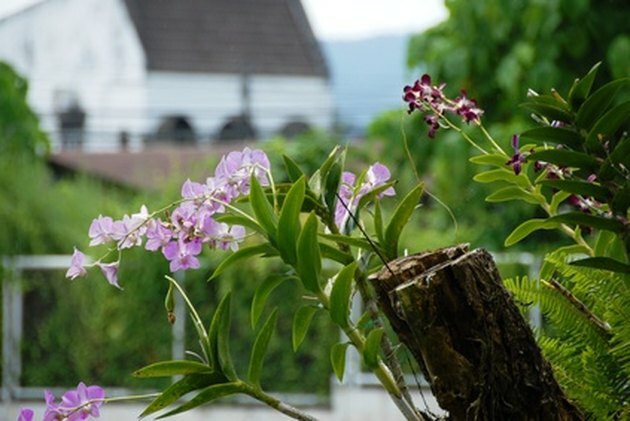 Many orchids grow on a host tree. Some orchids have a commensal relationship with their host. Symbiotic relationships between organisms can take different forms. Marietta College describes three forms. Parasitism is a relationship where one organism, the parasite, receives or takes benefits at the expense of the host organism. Mutualism is a relationship where both organisms receive a benefit from the relationship. Commensalism is a symbiotic relationship where one organism receives benefits, but the other is nether helped nor harmed. Most epiphytic orchids fall into this category. Like other plants, epiphytic orchids have leaves, stems, flowers and roots. According to the Brooklyn Botanic Garden, their root systems tend to be less extensive than plants that live on the ground but are capable of fast, efficient uptake of water and nutrients. Epiphytic orchids are also capable of storing water in their stems to compensate for dry periods. 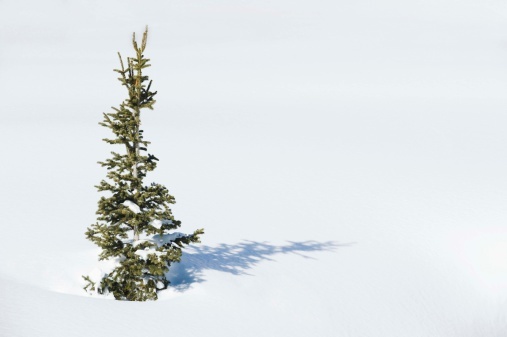 They tend to grow on parts of trees that collect organic debris and water, such as on inner branches. Trees with rough barks that hold water and humus in cracks and crevices tend to support orchids better than those with smooth barks. Orchids find nutrition on their host trees. Epiphytes need nutrients in order to survive, grow and reproduce. They acquire their nutrition in different ways. Some are capable of taking in everything they need directly from the air around them. Others glean water, minerals and nitrogen from the decaying organic matter of their host tree. According to the American Journal of Botany, some species rely on other organisms growing on the tree, such as fungi, for nutritional benefits. Other sources of nutrition include waste products from insects and birds. Although the epiphyte doesn't harm the host by taking away its nutrition, there are ways that the host tree can be affected. The Brooklyn Botanic Gardens describe how the sheer weight of a mass of epiphytic growth can cause damaging branch breakage. Some host trees with rough bark may shed pieces of their bark periodically, preventing the overgrowth of orchids and other epiphytic plants. Others produce chemicals that can inhibit or discourage epiphyte growth. Epiphytes increase the amount of moisture in the air, helping to keep the tropical rainforests humid. This is important in that it helps the rainforest trees absorb nitrogen from the air. As described by the University of Missouri Extension, the uptake and utilization of nitrogen through the nitrogen cycle is essential to plant growth, function and reproduction. Rose Guastella is a professional artist and teacher from Kitsap County, Wash. She has been writing educational materials for schools since before 1990. Guastella holds a Master of Arts in liberal studies from the State University of New York at Stony Brook. She has contributed several articles about education and plant biology to various websites.